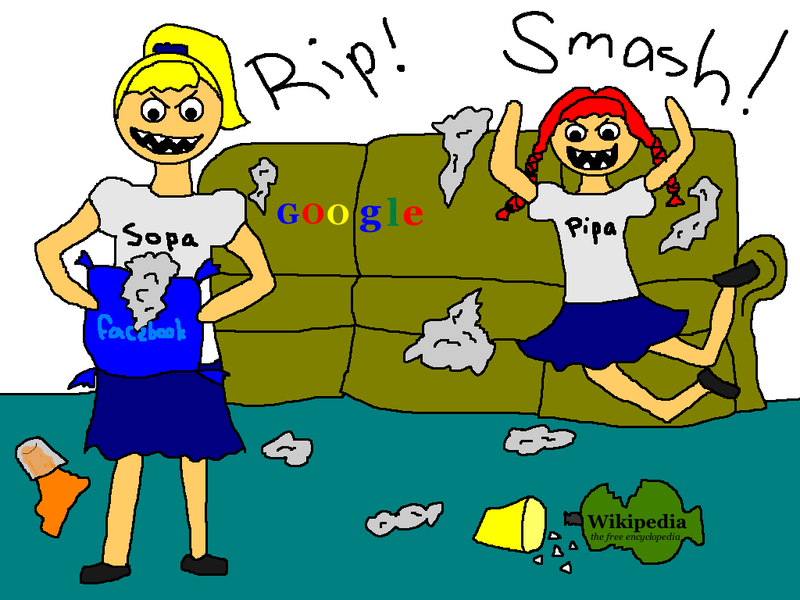 Whenever I hear someone say, "Stop SOPA and PIPA!" 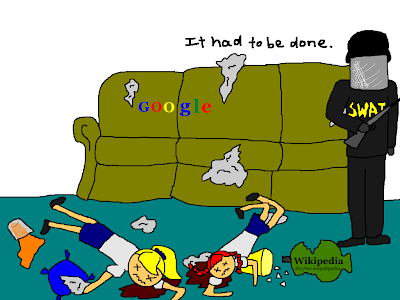 I imagine two unruly little girls ransacking the Internet. One of them bears an uncanny resemblance to Pippi Longstocking. 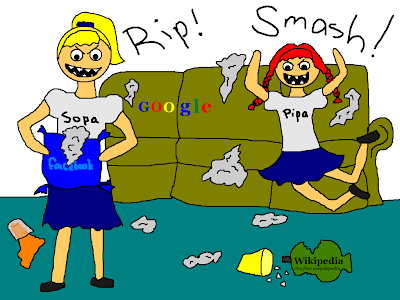 Incidentally, when someone uses the phrase, "Kill SOPA and PIPA," it now takes on a whole new meaning. I've also created a nifty button, which you are welcome to steal and post elsewhere. Just don't sell it because I was planning to do that and I'll be super mad at you. I love it when you use the grotesque for humor. It gives me the giggles. love the teeth on those girls! I love this. Absolutely hilarious. I'm always so happy to find a new illustrated blog!